For over 25 years, Dr. Oberlender has enjoyed leading dynamic and informative state-of-the art educational programs for a variety of audiences including physicians and other medical professionals, attorneys, and the general public. He has received numerous awards and wide acclaim from professional and lay groups for his knowledge and command of the topic, his user-friendly PowerPoint slides and handouts, and his interactive, accessible, “easy-to-listen-to” lecture style. High quality, evidence-based, unbiased medical lectures are Dr. Oberlender’s forte. Venues have included academic Grand Rounds, educational lectures for residency training programs, and local medical society meetings. Dr. Oberlender’s work in support of attorneys and estate administrators includes a series of interactive presentations to attorney groups exploring the broad and growing interface between geriatric medicine, elder law, estate planning, and estate administration. Presenting interactive educational programs to the general public enhances insight into aging issues and improves overall understanding of common medical problems faced by us all as we age together. High quality, evidence-based, unbiased medical lectures are Dr. Oberlender’s forte. Venues have included academic Grand Rounds, educational lectures for residency training programs, and local medical society meetings. Dr. Oberlender has also presented live and webinar-based professional practice and risk management seminars sponsored by medical malpractice insurers for their physician-clients, including a variety of topics in geriatric medicine and interactive discussions on Improving Communications Skills, Apology and Addressing Medical Errors, and Planning for Retirement. Of particular note is Dr. Oberlender’s long standing and highly successful association with American Medical Seminars, Inc. of Sarasota, Florida. AMS is a privately owned and operated commercial-free medical education company independently accredited to issue AMA Category I CME credits. Dr. Oberlender’s association with AMS started in 1990 and each year since he has provided a series of Category I CME approved medical and professional practice lectures on-site before a live physician audience in Sarasota. Current topics in this series include: Delirium in Seniors (including managing agitated behaviors), Dementia in Seniors, Advanced Nutritional Assessment and Treatment for Older Adults, Advances in Diagnosis and Treatment of Depression in Seniors; Sensible Prescribing Practices for Older Adults, Vitamin B-12 and Vitamin D in Seniors, Sensible Approach to Infections in Older Adults, Contemporary Issues in End of Life Care, A Practical Approach to Falls in Incontinence in Seniors, and Improving Communications Skills in Medical Practice. In all medical presentations, Dr. Oberlender bases his materials on extensive literature research and presents balanced commercial-free information consistent with the highest academic standards. He makes use of illustrative case studies drawn from his own clinical practice to highlight key teaching points, enhance clinical relevance, and stimulate audience discussion. Dr. Oberlender’s work in support of attorneys and estate administrators includes a series of interactive presentations to attorney groups exploring the broad and growing interface between geriatric medicine, elder law, estate planning, and estate administration. Venues have included local bar association meetings, regional law conferences and seminars, and wealth management seminars. 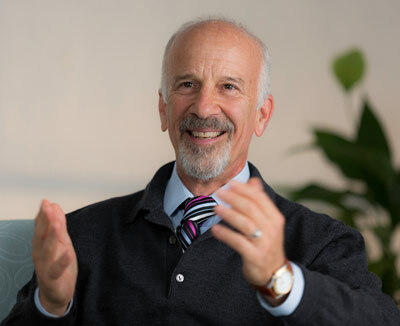 Largely driven by the increasing number of guardianship/conservatorship issues involving seniors, Dr. Oberlender has been invited meet with estate administrators, bank trust officers, and guardianship agencies and case workers to discuss cognitive dysfunction, dementia, and the proper assessment of decision-making capacity. Dr. Oberlender was invited to present at the 2014 and 2015 state-wide meetings of the Virginia Academy of Elder Law Attorneys (VAELA). In 2014 he led an interactive discussion on “Assessing Decision-Making Capacity in Older Adults” and in 2015 he led a wide-ranging interactive discussion on “The Interface Between Elder Law and Geriatric Medicine.” In addition, Dr. Oberlender was invited to lead interactive discussions on dementia and decision-making capacity at the 2013 and 2014 annual state meeting of the Virginia Guardianship Association (VGA). Dr. Oberlender partnered with a highly regarded Roanoke-based elder law and estate planning attorney in presenting 3 separate Virginia CLE sponsored webinars. Topics included cognitive dysfunction, dementia, depression, and the medical evaluation of decision-making capacity. Presenting interactive educational programs to the general public enhances insight into aging issues and improves overall understanding of common medical problems. Since 2006 Dr. Oberlender has been invited to lead dozens of educational programs and seminars designed for the general public. He has spoken to community groups, religious groups, aging-in-place organizations, and has led interactive discussions at retirement communities throughout central and southwestern Virginia. Topics have been wide-ranging and have included cognitive dysfunction, dementia, delirium, managing difficult behaviors, reducing excessive prescribing, healthful eating, improving communications with health care providers, assessing decision-making capacity, deciding when to relocate to a retirement community, vitamin B-12 and vitamin D in seniors, and others. Dr. Oberlender has been widely praised for his command of the subject matter and his ability to explain complex medical topics in accessible easy-to-understand language appropriate to non-medical audiences. He designs his presentations to be interesting, relevant, and interactive. He works to engage his audiences by remaining approachable and interested and by utilizing colorful case studies to illustrate key points. Dr. Oberlender is particularly proud of his long standing working relationship with the Central and Southwestern Virginia Chapter of the Alzheimer’s Association. Working with the local family services director he has made numerous pro bono presentations to local community groups on the topics of dementia and dementia care.